HandsOn Gloves are a favorite of Clinton’s and the horses at the Downunder Horsemanship Ranch! The scrubbing nodules on the fingers and palms provide a deep, thorough clean and are the best de-shedders on the market today. Another added benefit is your animal’s hair does not stick to the HandsOn Glove; just a simple flick of the wrist and the hair instantly releases so you can go right back to caring for your animal. 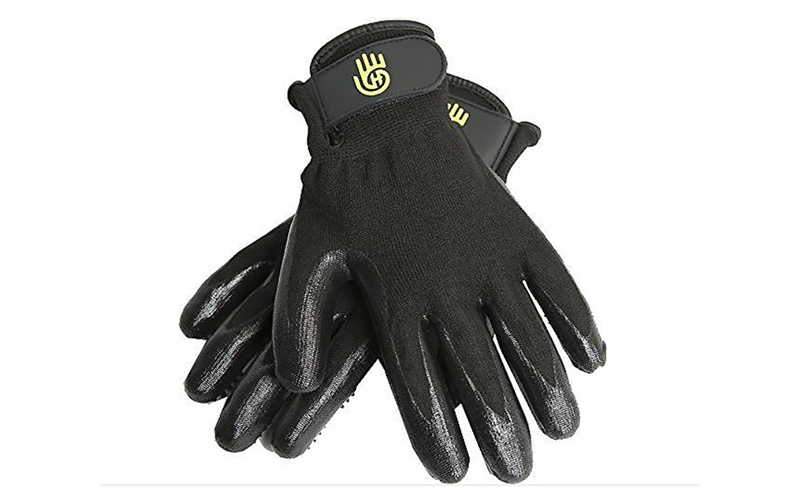 The textured surface and flexibility of the gloves allow you to better massage and improve circulation while distributing natural oils and promoting a healthy skin and coat. 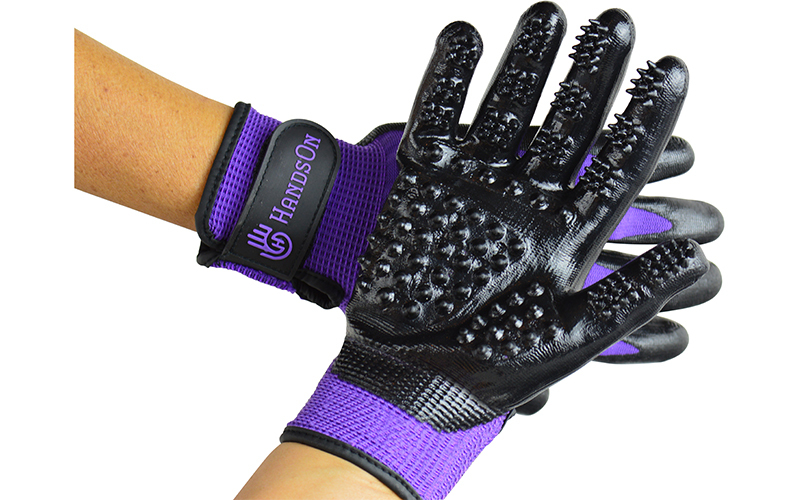 Wet or dry, the 5-fingered grooming gloves are unbeatable. The perfect combination of scrubbing nodules on fingers and palms. Your gloves will not slip or fall off, even when wet and soapy. Best de-shedder on the market, and it simply and easily releases accumulated hair. Relaxes and helps naturally build a bond with your animals. Massages muscles and stimulates circulation while helping to distribute natural oils for a healthy skin and coat. 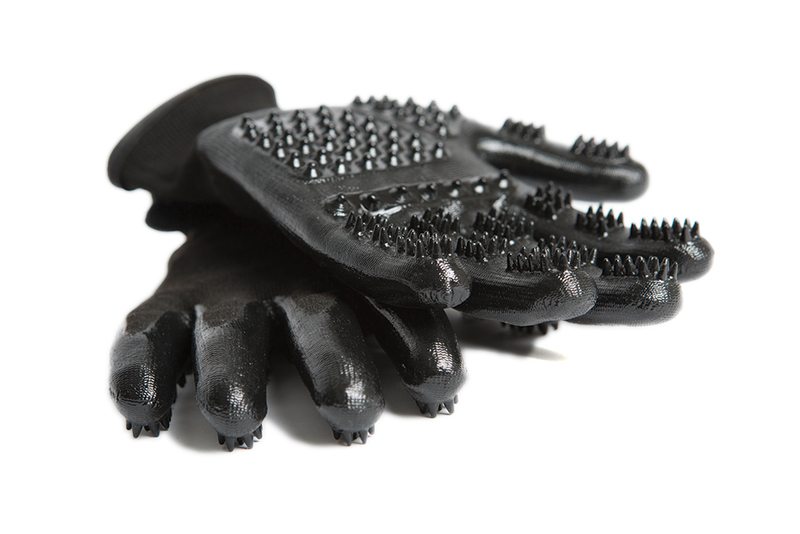 The gloves’ tactile touch gently cleans sensitive areas like legs, faces, ears and tight body contours. Your hands and fingernails stay clean. 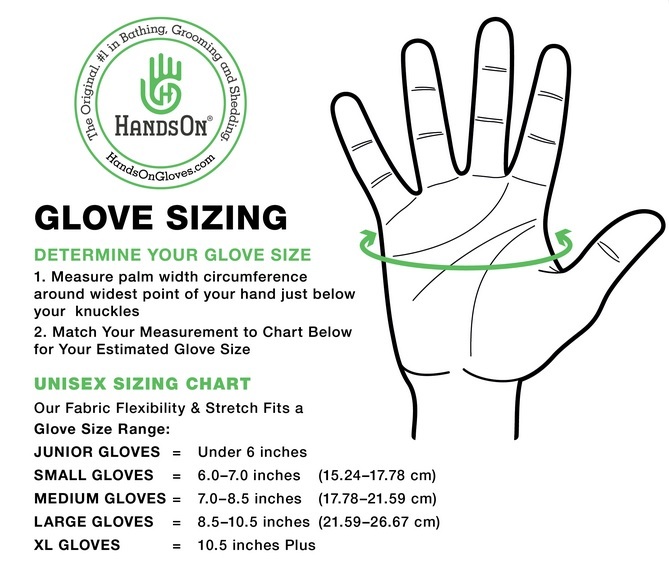 With its versatile, flexible grip, you can easily handle water hoses, shampoo bottles, lead ropes, leashes, or anything else you may need with your gloves on. Manure and other foul-smelling stains are much easier to clean with your HandsOn Gloves. Most animals will gravitate to you wanting more grooming and petting time. Compact, easily fits in your pocket, grooming caddy, tote or bag. Lightweight and extremely durable, doesn’t crack, tear or mildew even under heavy grooming and bathing conditions.